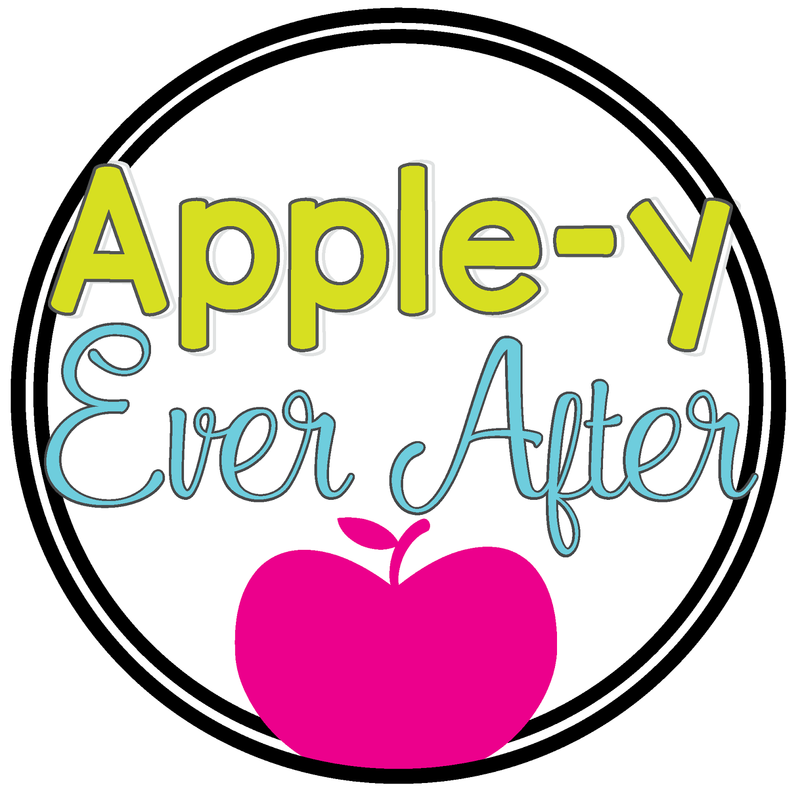 Flexible Seating in the Classroom Part 2 - Apple-y Ever After! WELCOME BACK FOR FLEXIBLE SEATING - PART 2! I originally started flexible seating on the first day of school and that was BIG MISTAKE. It is really important to set up classroom rules, routines and norms before you introduce something so 'fun'. 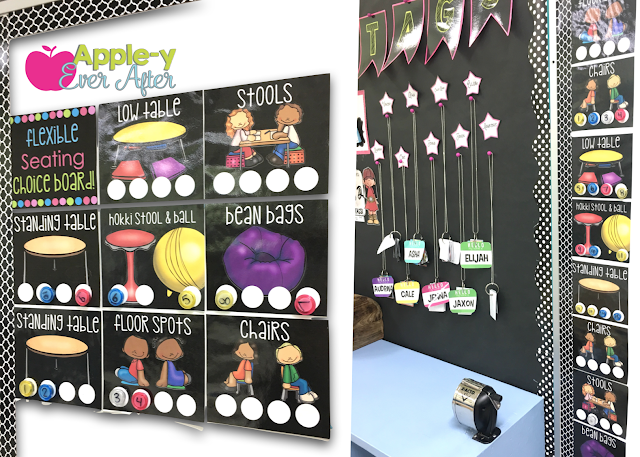 With flexible seating there are so many different things that you will want your students to know that it is important to have your regular classroom stuff all worked out before you let them try out the seating. They need to know that you are in charge and that the seating isn't a toy. In my class, I have a big toys vs tools conversation (click here to read about it). 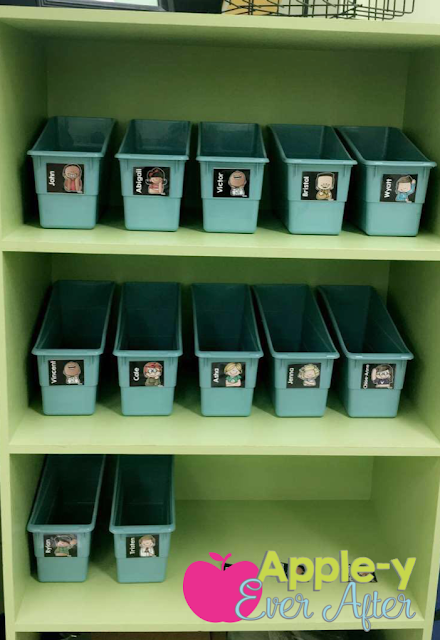 I talk to my students about how to use our classroom supplies (such as dice, counters, books etc.) as a tool. If we are using it in the wrong way, it becomes a toy and that is not how we use our things unless it is free time or you are given specific permission. 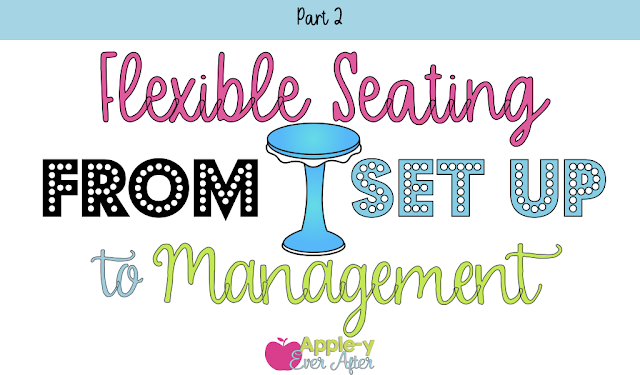 Once we have this conversation and our routines are set then I bring in my seating choices. I tell my students that they are learning how to be responsible. I teach grade 3, but you can do that in any grade. I tell them that as a grown up, I need to monitor myself and how I feel. I tell them that there are times that I really don't feel much like doing work, but there are people who count on me to get it done (like the principal and them). We talk about how they also need to learn to be responsible because people are counting on them too (like me and their parents). I tell them that sometimes, I can't concentrate as well when I am stuck in one spot. We talk about how moving from one spot might be a good choice if we aren't getting our work finished. It is really important to model the behaviour that you wish to see. Don't be afraid to act it out for them. Show them what good work looks like and what visiting and fooling around looks like. Show them how to tell if it is time to move to a new spot -- like chatting with friends. Another thing that I tell my students is that if they are not being productive, I can move them. One warning, then switch spots. If your second choice isn't any better, you may be moved to somewhere that you don't like. When students are given the opportunity to sit with their friends, they are less likely to talk because they know they may be moved and really, it is way more fun to be quiet and sit with your friends than it is to not sit with your friends and be quiet. One of the trickiest parts of flexible seating -- especially for type A teachers -- is the need to control the seating and tame the chaos. 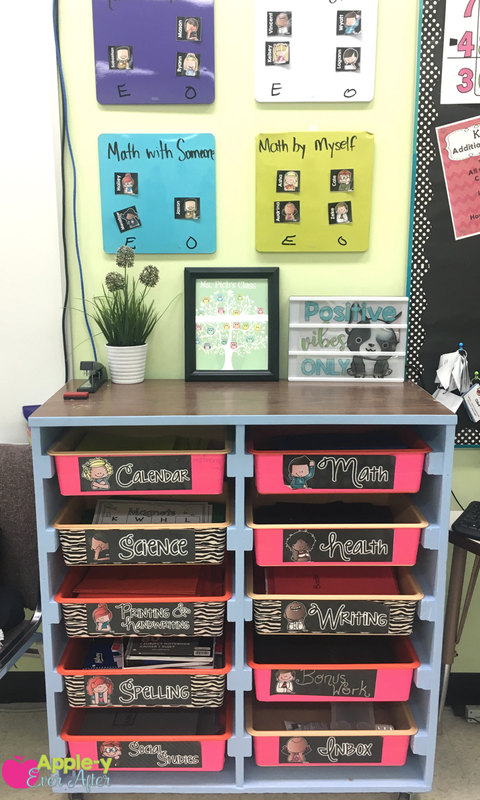 Having students up and moving around is one of the things that happens a lot when you run a flexible seating classroom, especially in the beginning. Students WILL steal the seat of their classmate if their classmate happens to be out of the seat or out of the room. Find a way for students to 'sign up' or to show that a seat is occupied. 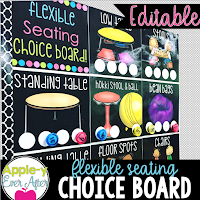 I use a Flexible Seating Choice Board. 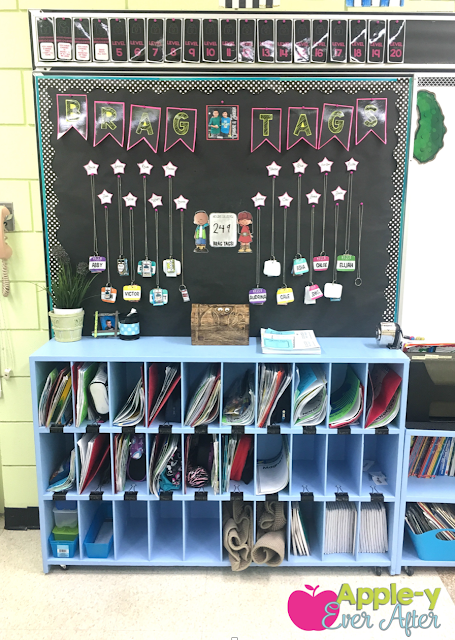 It is a super simple way for your students to claim their spot so that others do not swipe it when they happen to be off doing their business in the bathroom. I wanted this board to be as simple to use as possible. I printed off these pages, laminated them and attached them to my whiteboard. You can create a grid or stack them like the pictures above show. Find some inexpensive magnets from dollar tree (or wherever you can find them in your area) and write student numbers on them. Each student places their magnet on the choice board in the spot that they choose to sit at. This way your students will know which seats are taken and which are available during the day and you won't have students fighting over 'who got there first'. I have my students switch seats at morning recess, after lunch and after afternoon recess, but you could decide when to switch based on what works for your classroom. Student storage. This was another area that I really needed to consider. If you are eliminating desks from your room or don't have enough for everyone to use, you will really need to consider what you are going to do with all the work books, duo-tangs, pencil cases and everything else that students need to use at school. There are a few options that will work depending on your own personal preference. 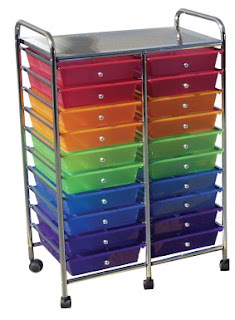 If you are fortunate enough to have cubbies in your classroom, it is a wonderful option for student work storage. I used large binder clips with student names and numbers on it in order to make it easy to change from year to year. Don't mind the flexible seating that was stored in the bottom of the cubbies... Ha! That's where we kept the extra mats that were not being used on the floor! Book bins are another option for your students to store their work in. The ones pictured here are from www.reallygoodstuff.com. This is nice because your students can take their bin right to their table or floor spot and get started right away. There are so many different kinds of drawer storage and really no wrong way that you can do this. The picture below is what came in my classroom. I use each one for a different subject. I had out the duo-tang or interactive notebook to the students before they go and get started on their work. Other options for drawer storage include colorful carts that many teachers have in their classroom. Simply add labels with your student names to it and have your students put their paperwork inside. These are some of the ideas that have helped me to get started with flexible seating. I hope that you are able to take something away from this post. Let me know if you have any questions. You can send me an e-mail at holly@appleyeverafter.com OR comment on this post!